Returning to work does not mean stopping giving breast milk to babies. By milking the milk, the baby can still get breast milk without the presence of the mother beside it. 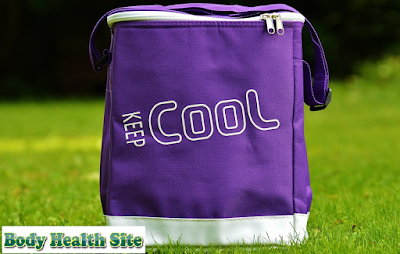 In addition to milking pumps and breast milk storage bottles, there is one more 'weapon' that should be owned by mothers who want to continue breastfeeding even though they work: cooler bag Mother's milk. Now cooler bag Mother's milk has been sold with various colors, motifs, and shapes. This breast milk cooler is usually protected by an insulator or styrofoam layer which can prevent outside air from entering so that the temperature inside the bag is maintained. Thus, breast milk will also be protected. A good breast milk cooler is generally made of three types of materials, namely a thermal insulation layer, a waterproof layer, and an outer layer. A good waterproof layer is generally in the form of laminated cotton, PUL, or vinyl plastic. While the outermost layer can be the same as a waterproof layer or it can be a certain other material, like canvas cloth. This breast milk cooler bag is very useful for working mothers who need travel time of more than 30 minutes during the trip home from the office to home. The quality of Mother's Milk which is stored in a bag is likely to decrease or even not be suitable for consumption if it is not stored in the breastmilk cooler bag, especially if the office trip to the house takes a long time. To maximize the benefits, check your breastmilk cooler bag regularly to detect any broken or perfectly closed tears or zips. Clean and private room to milking breast milk. Some offices provide special rooms for milking breast milk, complete with refrigerators to store breast milk. While in offices that have not provided a similar space, some ordinary nursing mothers use prayer rooms or meeting rooms that are not used to milking breast milk. Breast Milk Pump. Some mothers feel more comfortable milking breast milk by hand. Using both hands and pumps, don't forget to wash your hands first before milking breast milk. Plastic bottles or plastic bags specifically designed for storing breast milk. The bag may tend to tear or leak easily, especially if it is inserted and carried around in the breast milk cooler bag. Therefore, you might be able to place the plastic in a tightly closed food container box. Avoid placing breast milk in disposable plastic bottles or plastic bags that are commonly used every day and not specifically designed for breast milk. It is best to avoid glass bottles because of the risk of breaking when carried around in breast milk cooler. Also, make sure these storage containers are completely sterile. Label each bottle and write down the information on what date and time the milk was milked. Dairy mother milk stored at room temperature can only last for at least 6 hours. If the room temperature is more than 25 degrees Celsius, the age of Dairy Mothers milk can be shorter, which is around 2-4 hours. Therefore, ideally, to maintain quality, bottles containing Dairy Mothers milk are recommended to be stored in the refrigerator during working mothers. But if your office does not provide these facilities, you can store your milk in a breast milk cooler equipped with a gel bag. Before being carried in a bag, keep the gel bag overnight in the freezer. The gel bag will keep the cold so that the temperature in the Dairy Mother Milk cooler bag also goes cold. Dairy Milk stored in an insulated cooler bag Mother's milk with ice packs can last for at least 24 hours. As knowledge, breast milk stored in refrigerators can last for at least five days. While stored in a freezer with a temperature of minus 18 degrees Celsius can last up to six months in optimal conditions. Also keep in mind that the longer the storage period, the higher the risk of losing vitamin C.
Reducing breast milk in the workplace does require long-term commitment, discipline, and spends more time alone. But many mothers are willing to undergo this complexity in order to provide the best for their children. Because it requires its own time and space, it is better for you to inform your boss of your needs at the office. Not only for babies, but milking breast milk is also beneficial for nursing mothers. Breasts that are painful because of the need to remove breast milk will subside after milk is milked. Reducing breast milk will also make the flow of milk more smoothly so that the baby can still breastfeed from the breast. This milking habit can start at home before the maternity leave ends. Thus you can find out the best routine schedule about when breast milk is flowing smoothly. 0 Response to "Cooler Bag for Breast Milk for Mother and Baby"
Don't Get Blown Up by the Aroma of Fragrant Oil because of the Dangers of Lurking!